Troon® started as one facility in 1990 and has since grown to become the world’s largest professional club management company. We provide services to 430+ locations and 475+ golf courses, while also managing various amenities, such as tennis, aquatics, fitness, food & beverage, lodging and more. We have grown our company by listening to and understanding the specific opportunities and challenges of our clients, then customizing our approach to achieve success together. This is accomplished by providing a foundation comprised of the best talent and resources in the industry and cultivating the creativity of our 15,000+ associates worldwide. Our successful culture, combined with nearly 30 years of experience, give us the opportunity to develop the strategies, resources and talent that allow our clients to excel in this competitive industry. These brands are supported by 250+ experienced corporate leaders based throughout nine regional offices, with expertise in Club Operations, Agronomy, Food & Beverage, Membership Sales & Marketing, Daily Fee Sales & Marketing, Human Resources, Procurement, Finance & Accounting, Design & Development, Risk Management, Information Technology and Legal. These resources, combined with our experience operating a myriad of private, daily fee, and resort operations in 45+ states and 30+ countries, have given Troon the opportunity to develop the strategies and talent that allow our clients to excel in the competitive world of golf and club operations. We invite you to continue exploring what it means to have Troon as your full service partner and to learn more about how our team can get to work for you! Please contact our Troon Business Development Team at 480.477.0505 or complete the information request form for more information. Ready to Learn More About Our Management Services? All information provided will be held in the strictest of confidence. For all other inquires, please Click Here. We understand the questions and concerns that can be associated with third-party professional services. Many times these concerns center around inaccuracies as to what operating as a Troon client actually means. We have outlined the most frequently addressed concerns below and welcome an opportunity to answer additional questions you may have regarding our services. "Troon is going to come in and run things the way they want to." TRUTH - We are not an owner or lessee. We are agents of the owner, membership or board of directors. 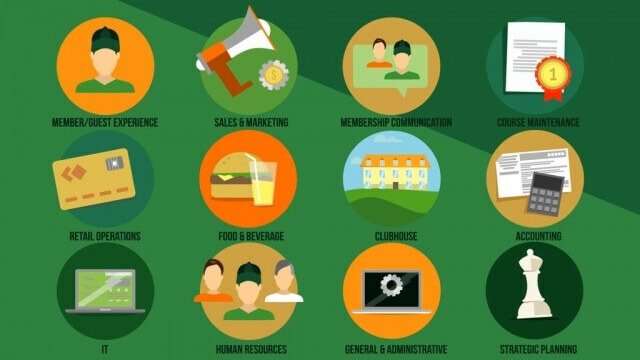 We serve the club and are similar to a standalone general manager, only on a larger platform with greater resources that can be leveraged by the club for the benefit of the club. We find ways to do what your club wants to do, just more effectively and efficiently. "Troon is going to put their brand everywhere and we are going to lose our club's identity." TRUTH - The Club’s brand identity leads the way in 100% of our client relationships - Your club can choose to use our the Troon brand as much or as little as you wish as part of the overall brand strategy. "Troon is going to come in and fire all the staff." TRUTH - It's not our intention to fire anyone. We want and need leaders at every level of the organization. Those who are excited about quality, professionalism, career opportunities and accountability, typically do very well. Top performers perceive accountability as a positive and thrive within our organization. TRUTH - The fact of the matter is we are cost neutral in nearly all of our contracts when you consider cost savings in benefits, insurance, procurement, operational efficiencies and associate retention, before revenues are even considered. Troon's ability to consistently grow over the past 29 years is a testament to being able to deliver financial results to our clients and show value for our fees. Plus, our contract renewal rate consistently averages around 91% each year. "Troon is so big, we are going to get lost in the system and not receive personalized attention." TRUTH - The idea that a smaller company with fewer resources gives better and more individualized attention is contradictory. With more than 250 corporate resources, the simple fact is that our scale is such that we can devote more diversified resources, not less. "We have failed in some way because we are considering outside management." TRUTH - Organizations have relied on third-party expertise for decades to improve areas of their business in which they do not have a core competency. The most progressive and successful clubs in the country have realized this and have sought objective, third-party professional services. Our growth as an organization is proof of that within the club industry. Troon’s Business Development team possesses a diverse background, decades of experience within the industry and Company, as well as the ability to completely and concisely discuss with you the benefits of partnering with Troon. We specialize in analyzing and developing opportunities, with a focus on providing you with the right solution for your particular situation. We work to create relationships with potential clients, allowing you to learn about the services we provide in a professional and non-pressured approach. With that comes passion in providing you with resources and programs that enhance the experience for guests and members alike, while delivering an improved and more sustainable future. We look forward to talking with you and learning more about how we can help your club.